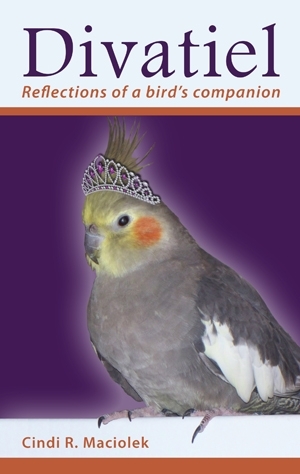 Memoir of a diva cockatiel’s owner. Could be adapted for feature or series. Also, possible series based on upcoming children’s book series. Cindi was looking for a roommate, and finally settled on a fine-feathered friend who was a gift from a co-worker. What she got was a loving, intelligent, fun, free-spirited, demanding – Jake’. After recovering from illness that put her near death’s door, Jake’ healed and was let out of the cage so she could spread her wings. She lived her life with gusto. Jake’ took risks, used her intelligence to her advantage and loved unconditionally. She took charge, not only over her surroundings but over her owner as well. Luckily, she had a cooperative Mommy in Cindi. Not only was she demanding, Jake’ did things some humans have never done. She flew on an airplane several times, went on numerous road trips and ate fresh vegetables daily. Jake’ lived a very long life and had many adventures along the way, most of which are captured in this book. Jake’ was first a gift to William, then a gift to Cindi, and now a gift to the world.